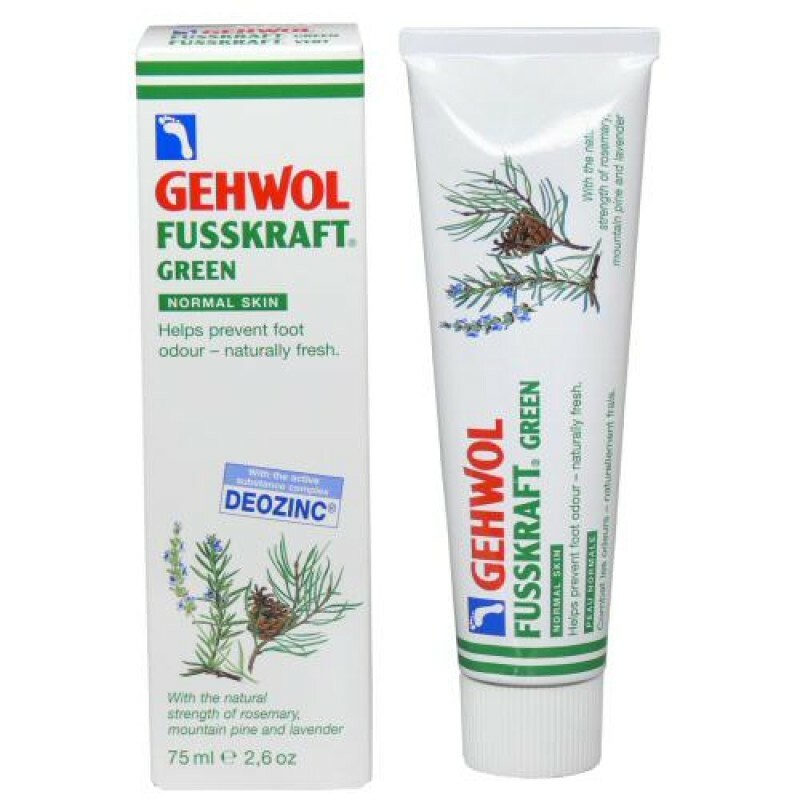 GEHWOL FUSSKRAFT Green contains the new active substance complex Deozinc based on active zinc compounds and providing three times the normal deodorising effect to give long-lasting protection from foot odour. Valuable natural ingredients such as shea butter, jojoba oil and aloe vera make the skin smooth and soft, providing pleasant freshness. 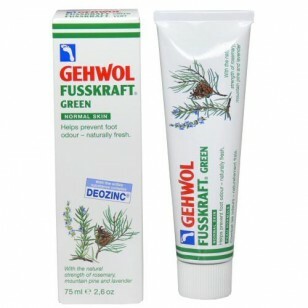 Essential oils, invigorating camphor and cooling menthol provide relief for sore, aching feet.